Courtesy of TFYuki on Twitter, we have a new image of TAV-36, Fracture. This Japanese release of the newly released Warrior Class Fracture is due to be instock at online retailers at the end of January. This figure is shown here in package as well as in vehicle mode and has a slightly darker Decepticon purple color scheme. Click the title bar to check it out! I dunno man, I just went to flip the handsout and they came right out of the cheap little hinge. His arms and legs are completely hollow too. Huh. The Hasbro one I have is solid and well built. Of the figures in this line that I've messed with, and there haven't been many, Fracture is easily the best of the bunch. Heck, I'd put it in line with many of the recent Generations releases, and I like nearly all of them as well. well that's fantastic news to hear. The hasbro one feels like a knock off. Its the thinnest flimsiest plastic I've ever played with. Nice. That's the best looking Transformers that I have saw from that cartoon so far. I think. The Hasbro one seems to have more of a 'grape' purple, while the Takara one has more of a blue shade to it. I don't like the show, so I don't know if it's accurate or now, but I think the Hasbro one looks more vibrant. Did we know he was up for preorder on HLJ? As I just looked and found POs open. Yup. Its been on HLJ strait for over a week now. Possibly two. I used to report my.findings more but someone pulled them down & posted over them for the credit. I found that "meh" about doing it as much. I'm not all-in on the RID line, and I don't watch the show, but I picked up both of these (the Hasbro versions, from HTS) and they are both awesome and worth picking up! What?! That show is awesome! You have to watch it if you like transformers cartoons. I strongly advise it. If you don't wanna watch the whole beggining part just watch the first movie like miniseries then skip up to episode 10 or so and it really starts getting good. I personally like the entire series myself. The episode that Fracture debuts in is the episode to start if you don't wanna watch it all! 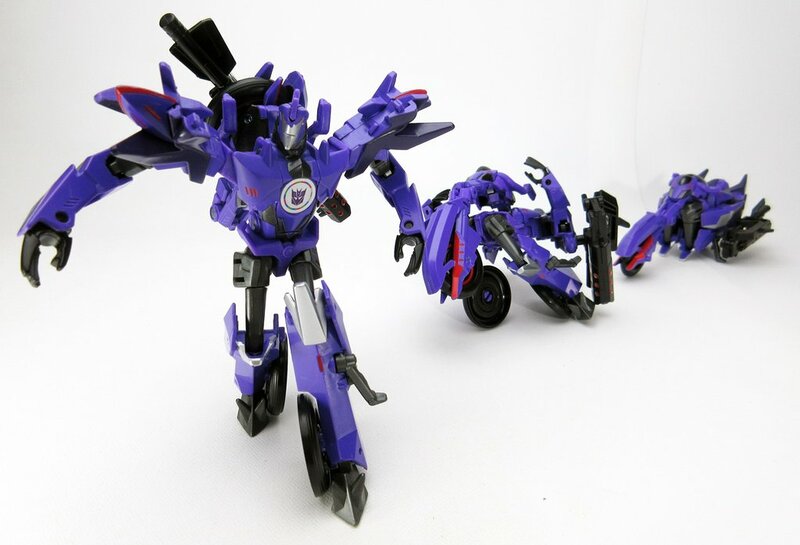 Fracture & Drift & minicons = :awsum ! 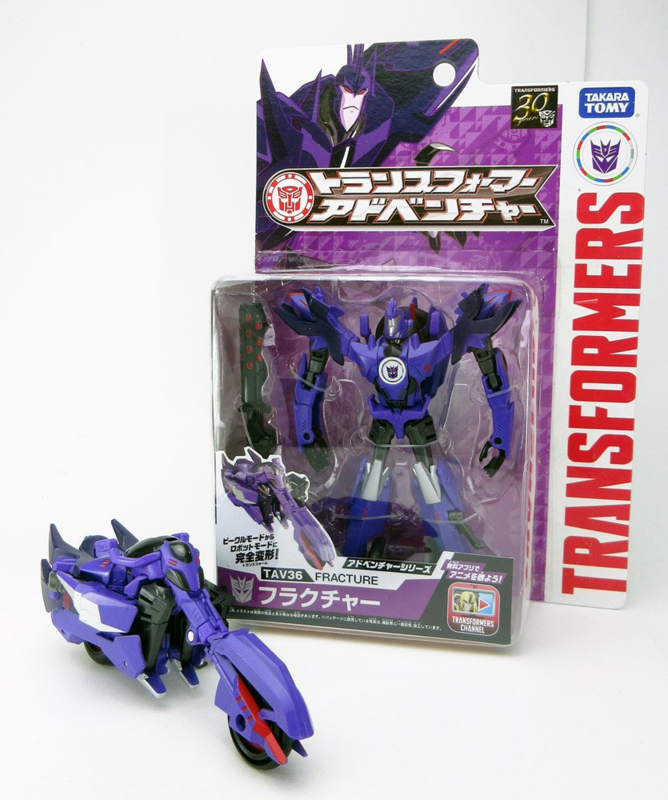 I hate the RiD2015 molds, but I might get this guy and Megatronus if I spot them. Same. They both look pretty good. Fracture really is shaping up to be one of the best in the line.